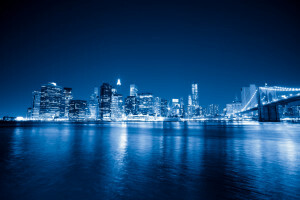 New York City, New York Leading multi- client family office and portfolio firm with just under $10Billion of assets under management has engaged us to find a polished executive with at least 10+ years of experience in the client relationship business, preferably in ultra-high-net worth family office environment. Excellent communication skills with clients and other professionals. Knowledge in areas of income tax planning, financial and cash flow planning and other general needs associated with wealthy intergenerational families. Knowledge of estate planning is desirable. Leadership skills managing staff accountants and tax personnel. Efficient organizational skills tantamount to success. Deep understanding of financial statements and portfolio accounting. Client is one of the top multi- client offices in the U.S., and is an SEC Registered Investment Advisor, CFTC/ NFA Commodity Trading Advisor and Commodity Pool operator. This position is to build bench strength as the founders will be weaning themselves off from day to day operations over the next 5 years or so. If you would like be alerted as we add new job listings to FamilyOfficeJobs.com please register here. Explore our family office course including 30 hours of audio interviews and 200+ video modules.